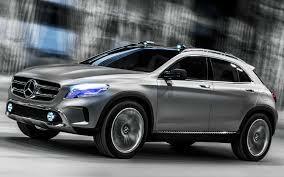 Mercedes Benz India could launch an entry level SUV to compete with the likes of BMW X1 and Audi Q3. The decision was taken by Mercedes Benz top management in the wake of high demand of SUV's in India and also to be at ace position while competing with BMW and Audi in Indian luxury car market. Mr. Kern told that GLA Class could be launched at a competitive price of Rs 25 Lac as against the currently X1 and Q3 priced in bracke of Rs 27-33 Lac. Speaking about the A Class sports hatchback, which is scheduled to be launched on 30th May 2013, the company is positive on the car and is anticipating good volumes of the car. View complete details incl. live images of car even before launch here.